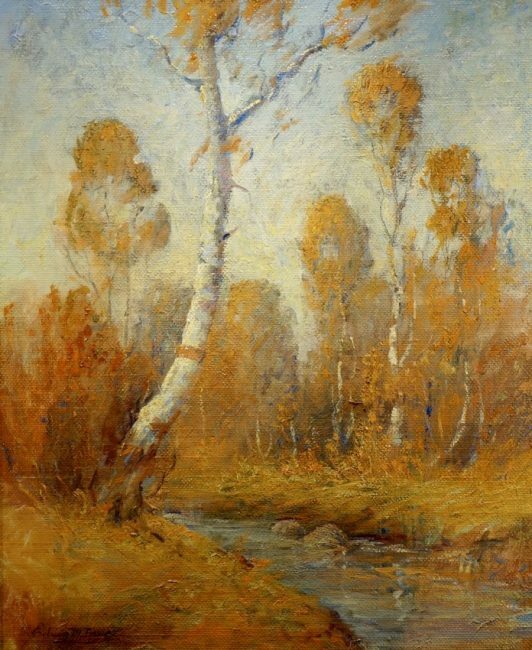 Hiro Fine Art is interested in purchasing artworks by Edwin Minot Dawes. Edwin Dawes drew his inspiration for art from a visit to the Walker Gallery, now called the Walker Art Center. He was never formally trained as an artist so he just painted in his free time. A well known art dealer from Chicago named J.W. Young saw a painting by him hanging in a store window and was amazed at the quality of the work. His work was shown to another artist Nicholas Richard Brewer who also agreed that the work was of high quality. In 1908, Dawes had his first public exhibition. He went on to receive an Honorable Mention for his painting September Morning. 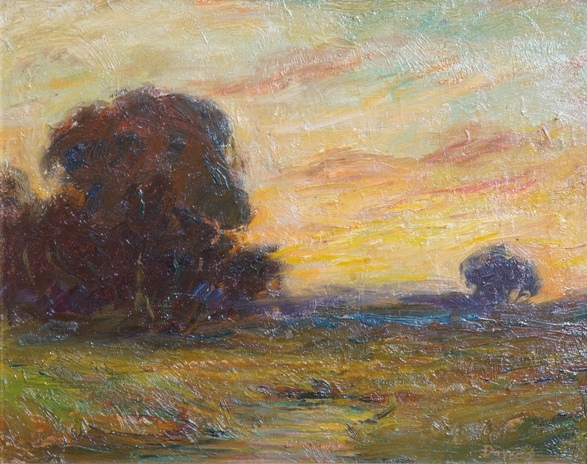 Dawes began to devote the majority of his time to painting and became active in the community. He was the treasurer of the Attic Club of Minneapolis and was commissioned to paint Glacier National Park by Louis Hill in 1911. 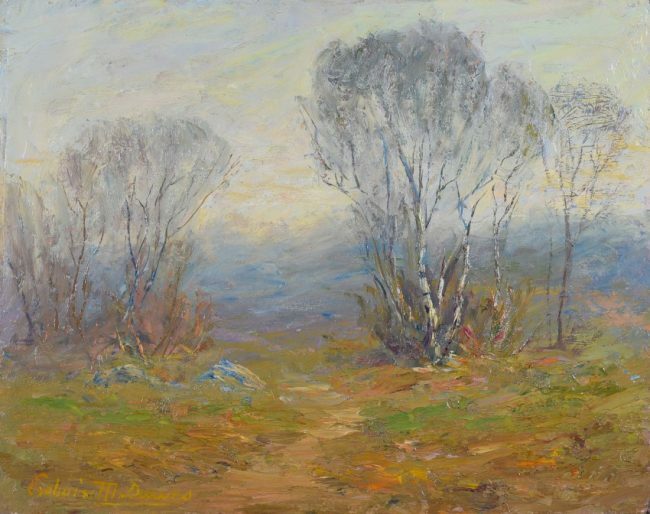 In 1912, Dawes lived in the art community of New Hope, Pennsylvania and would paint with William Lathrop. While in New Hope, Dawes met the artists Charles Rosen and Edward Redfield. He traveled to New York during this time to expose himself to the wide array of museums and galleries. 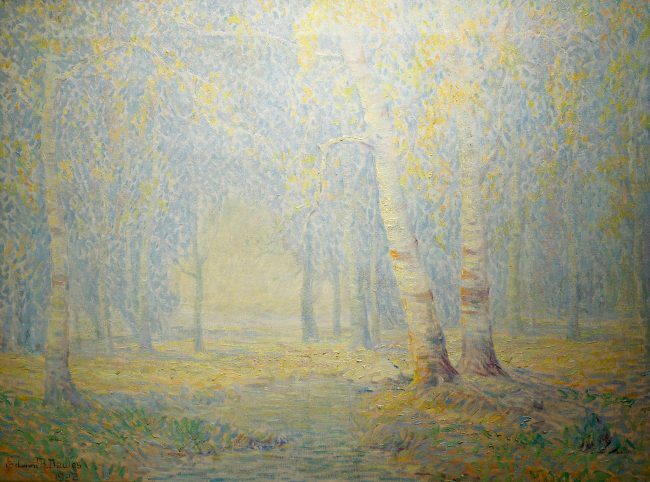 In 1913, Dawes unveiled his most famous painting Channel to the Mills at the Minnesota State Art Society. He received a gold medal for his masterpiece and it currently hangs in the Minneapolis Institute of Art. 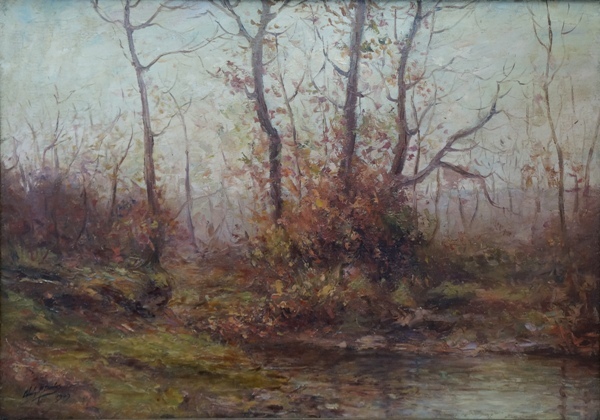 Another work titled Willows in Spring was a part of the annual exhibition at the Art Institute of Chicago. 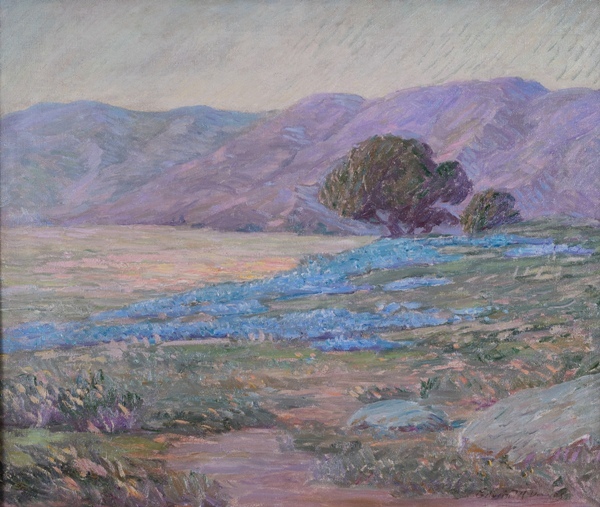 Edwin Dawes moved to California and established a studio in Glendale, near Los Angeles. 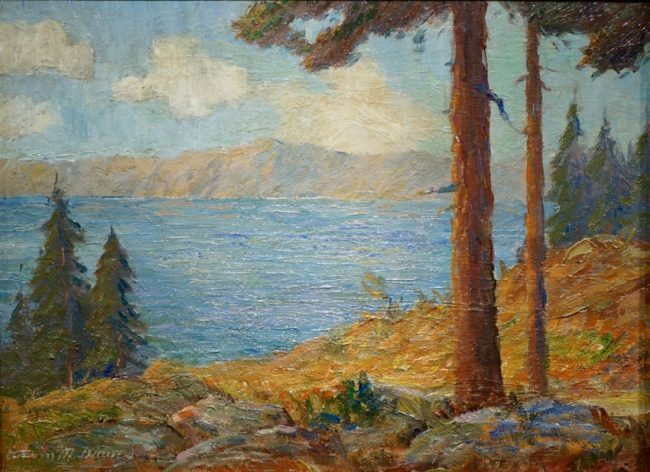 This period marked a time when he created beautifully colorful impressionist landscapes that captured the beauty and light of California.